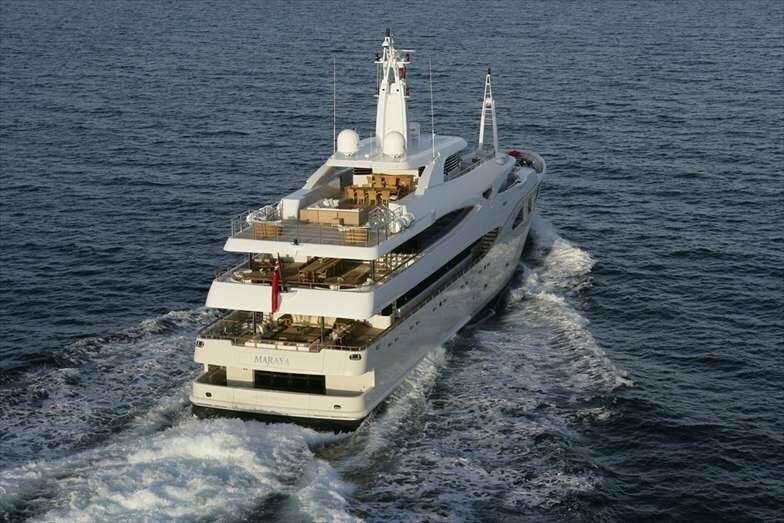 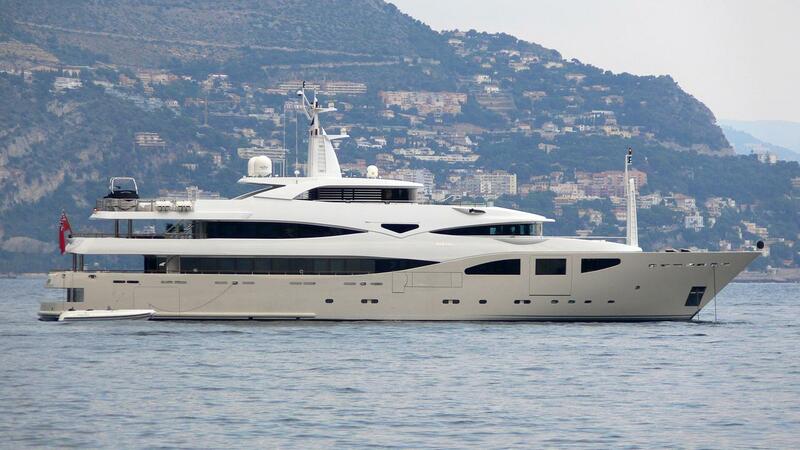 MARAYA is a 54.20 meter (177' 9") luxury motor yacht which was built by CRN YACHTS Ancona of Italy in 2008. 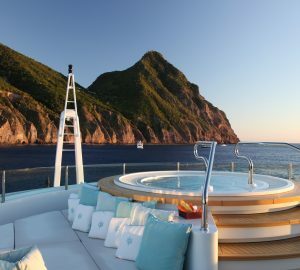 She is a very impressive yacht with absolutely every possible luxury amenity you could dream of. 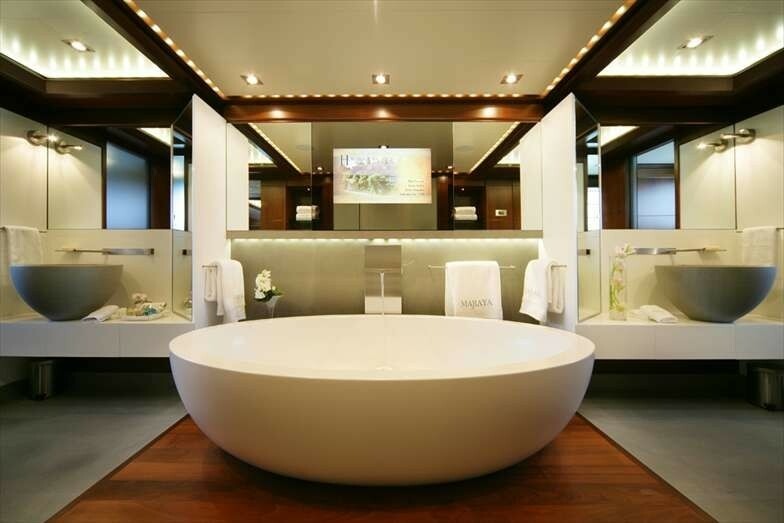 MARAYA can accommodate up to 12 guests in 6 luxurious state rooms. 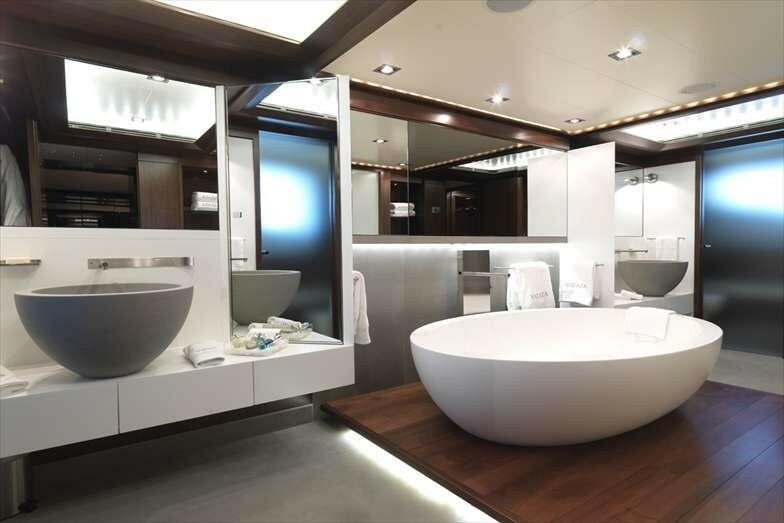 Her contemporary and crisp minimal interior by famous designer Claude Misser presents elegant curves and strong vertical lines. 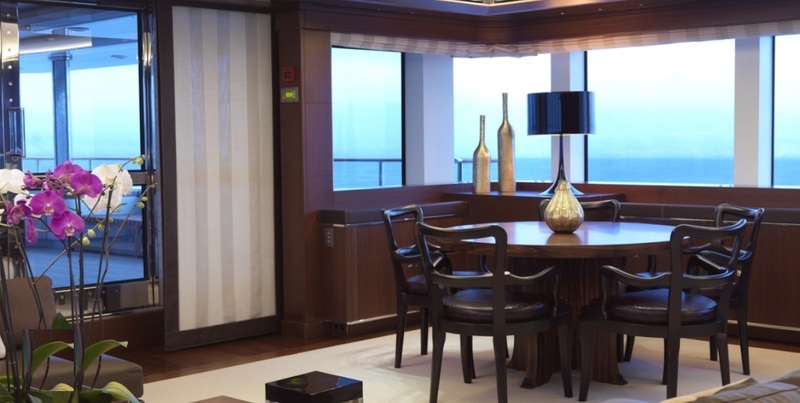 In her styling, exquisite materials have been employed along with countless refined finishing touches. 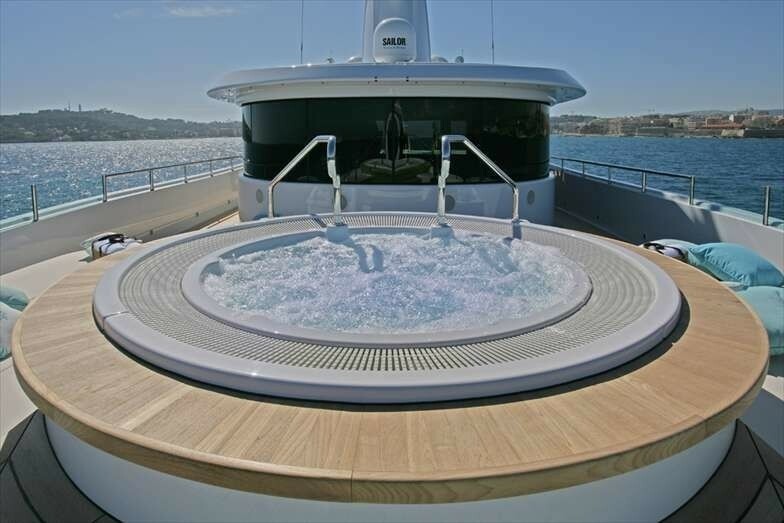 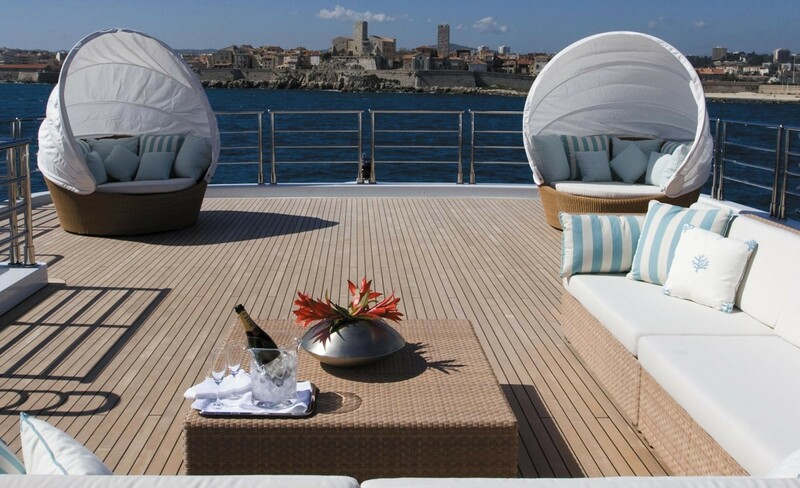 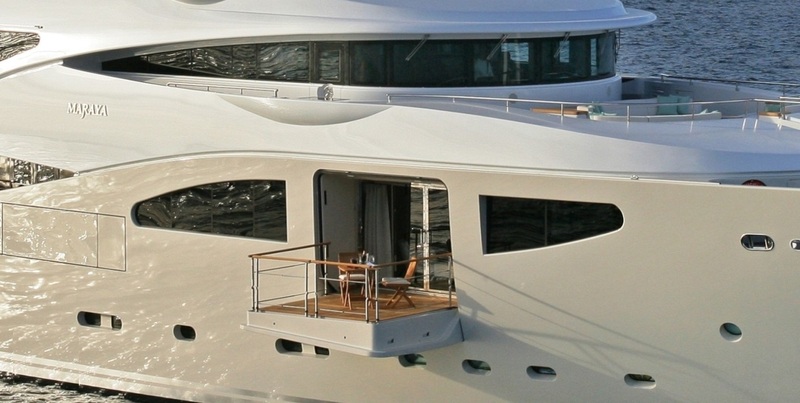 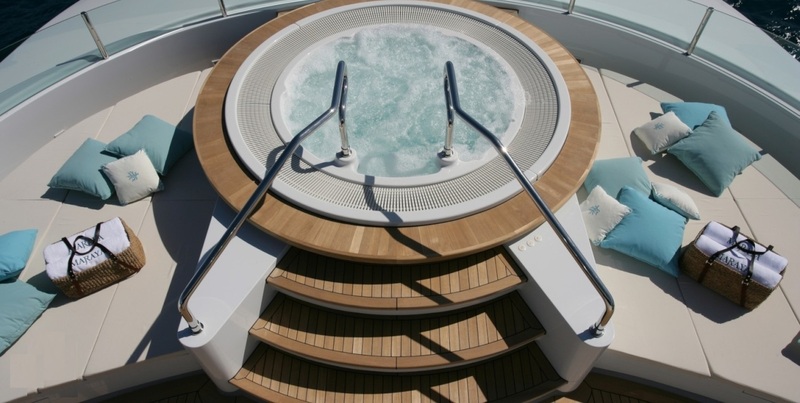 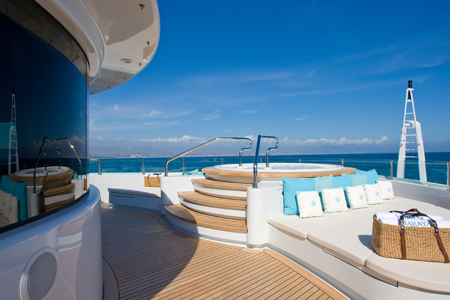 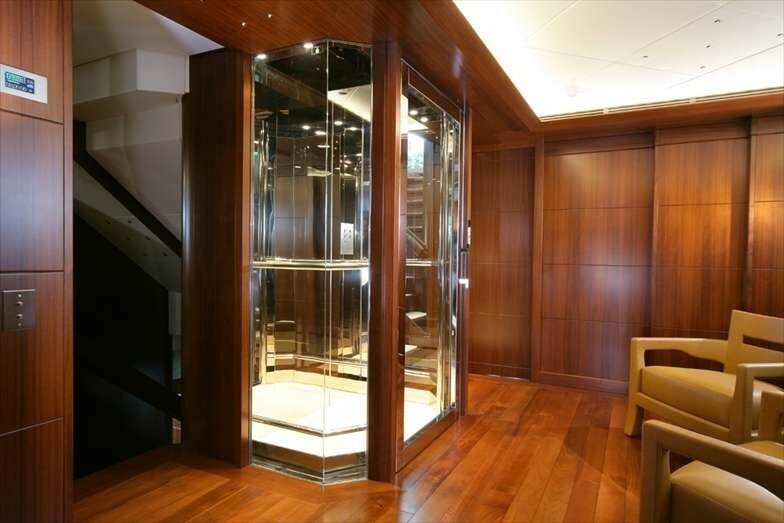 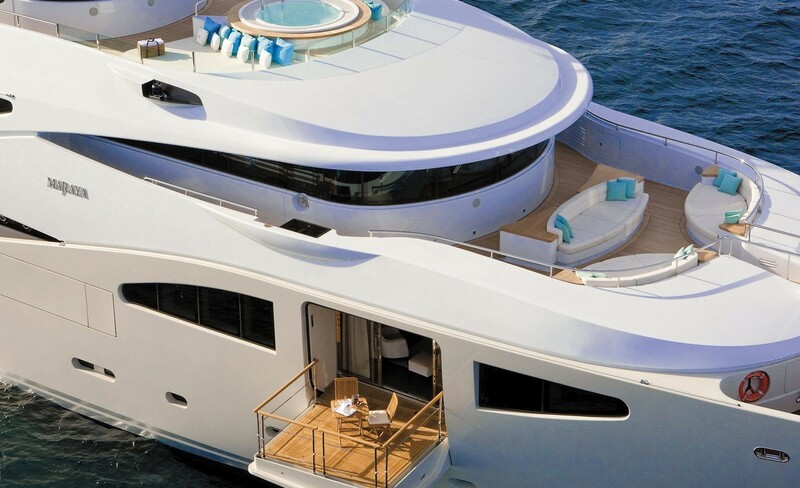 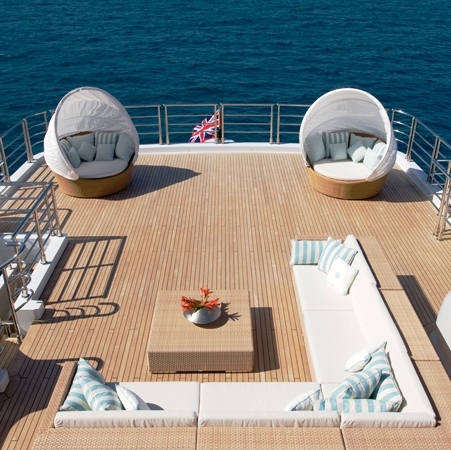 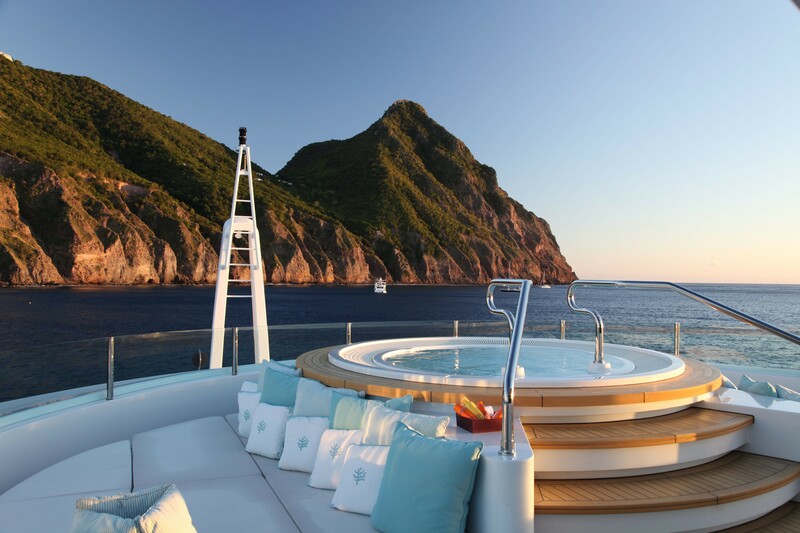 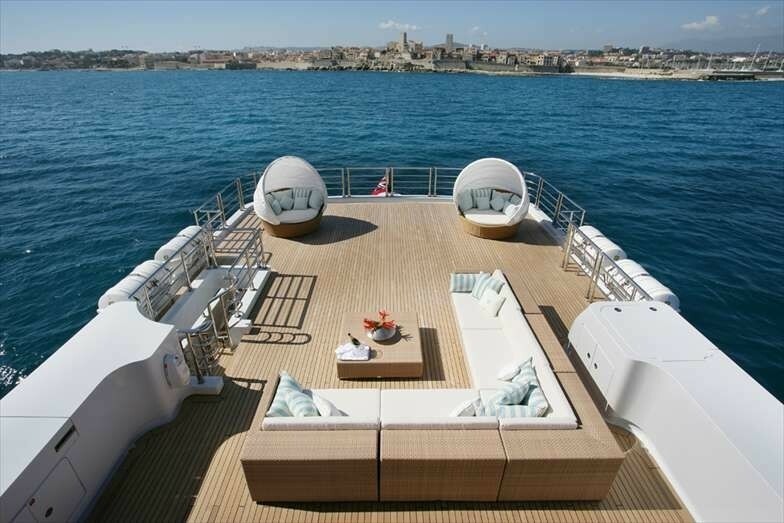 The yacht boasts an impressive sundeck with bar and Spa Pool pool along with an internal lift for access. 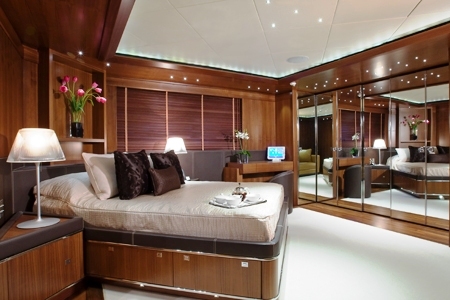 “MARAYA” which mean “many mirrors” is the more recent version of M/Y ABILITY another CRN 54. 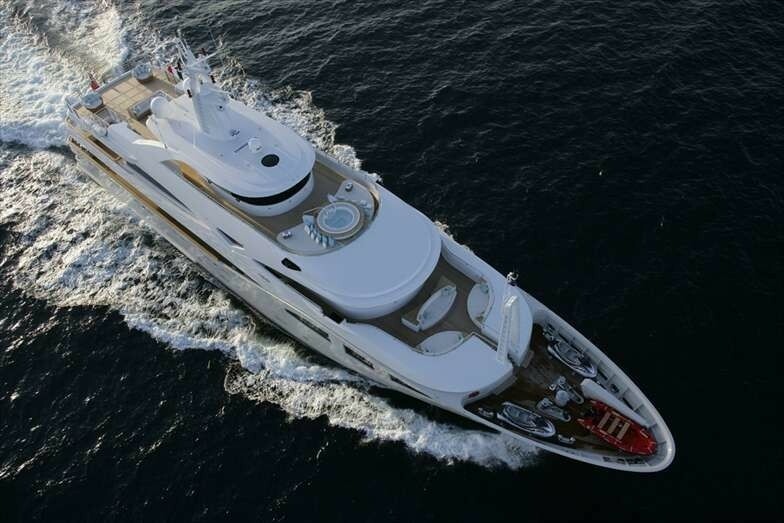 At 54m she offers the very latest innovations in technology, along with the rich and luxurious comforts expected from such a yacht. 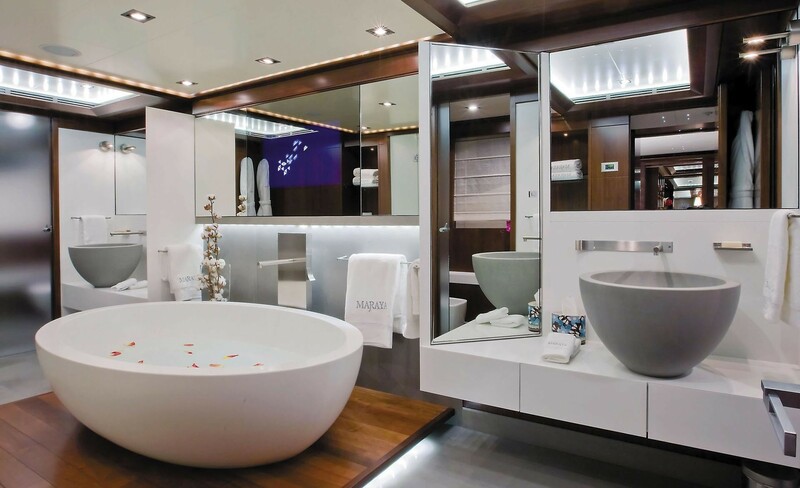 She boasts an abundance of both internal and external spaces for her guests to escape, relax and fully enjoy their freedom onboard. 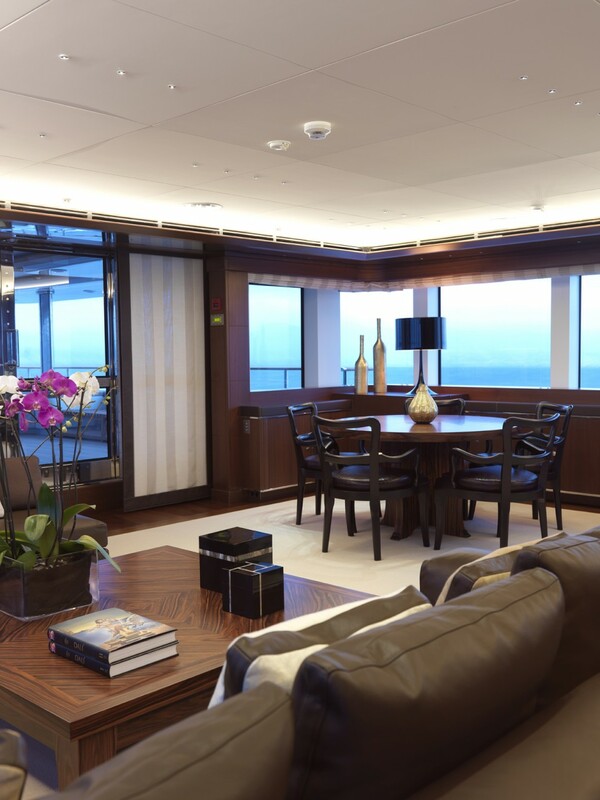 MARAYA’s more striking features include a master (Owner’s) state room balcony terrace which can be lowered whilst at anchor to provide a completely private external relaxation area for the principle guests. 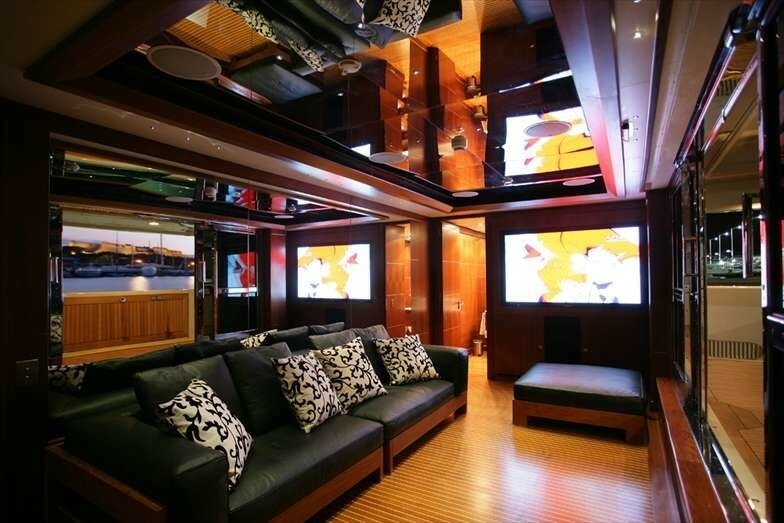 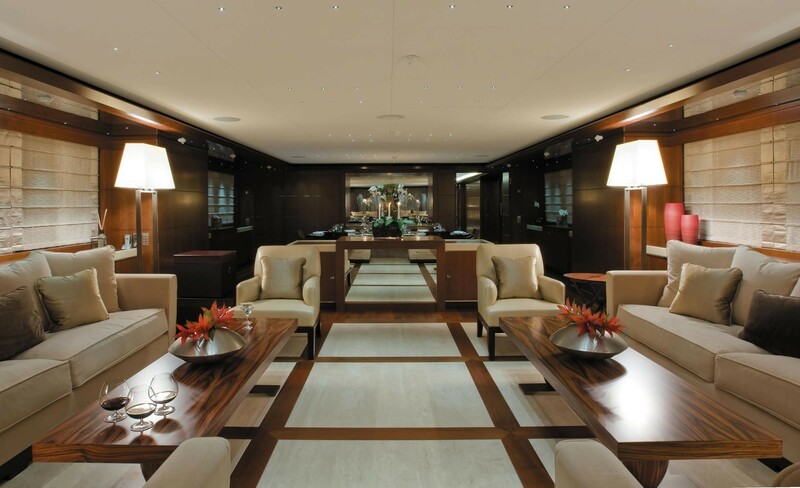 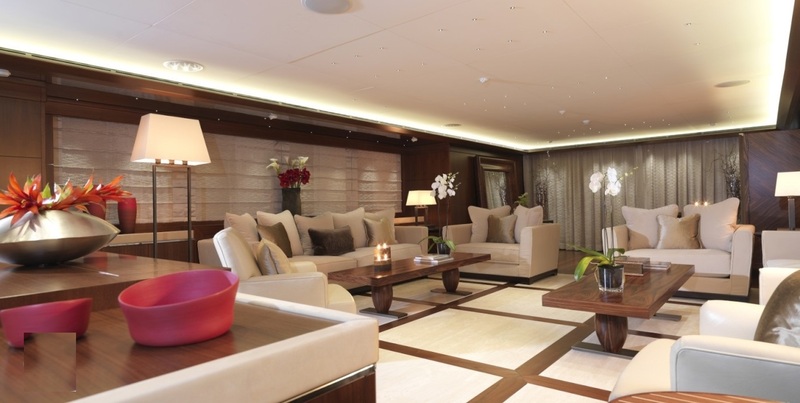 The luxury yacht provides in all over 450m2 of external space consisting of 5 separate deck areas, each with its own on demand entertainment centres. 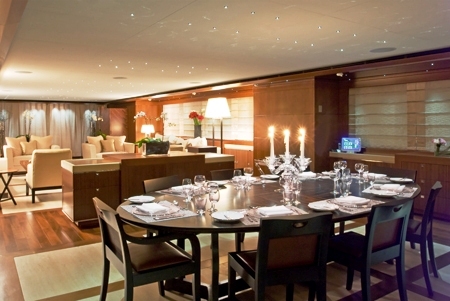 Maraya is the perfect yacht for an elegant and refined buffet or cocktail party. 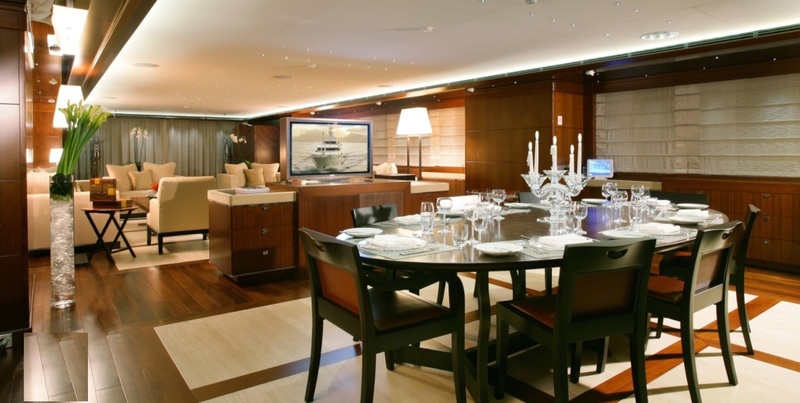 Her Aft deck sitting area welcomes the guests in style and her Upper deck offers dining for 28 guests in total (12 guests on the main table plus 8 on each round table). 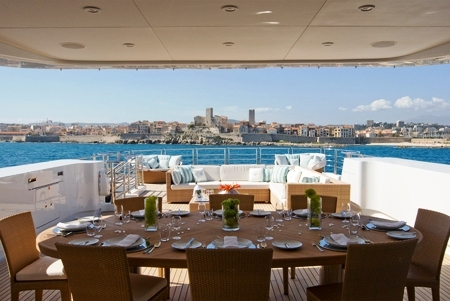 There is also the possibility to add extra tables for 12 extra guests on the sundeck for a total of 36 guests. 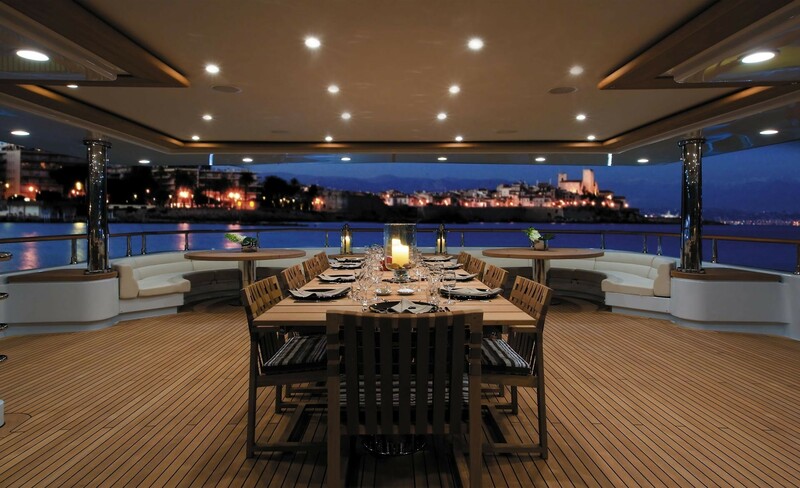 The yacht can also host Cocktail parties: up to 150 guests. 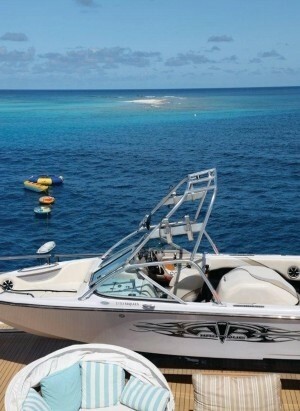 MARAYA also offers an impressive array of water sports equipment on board and a great selection of toys. 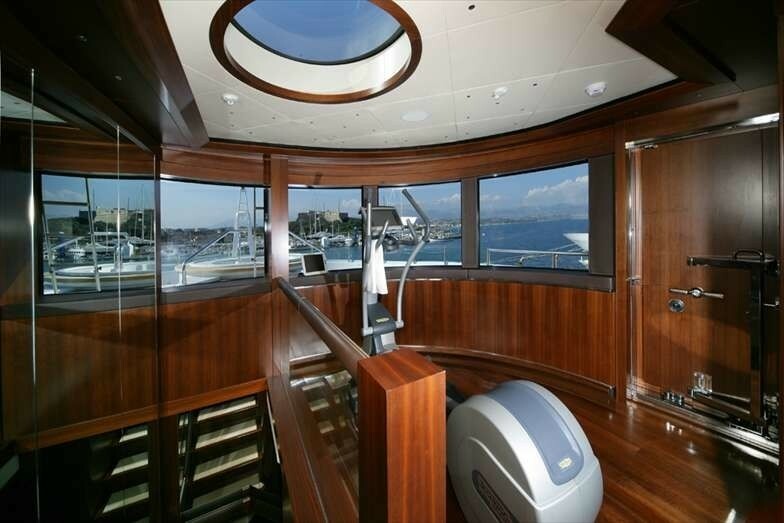 The yacht also carries an exercise bike and an elliptical trainer. 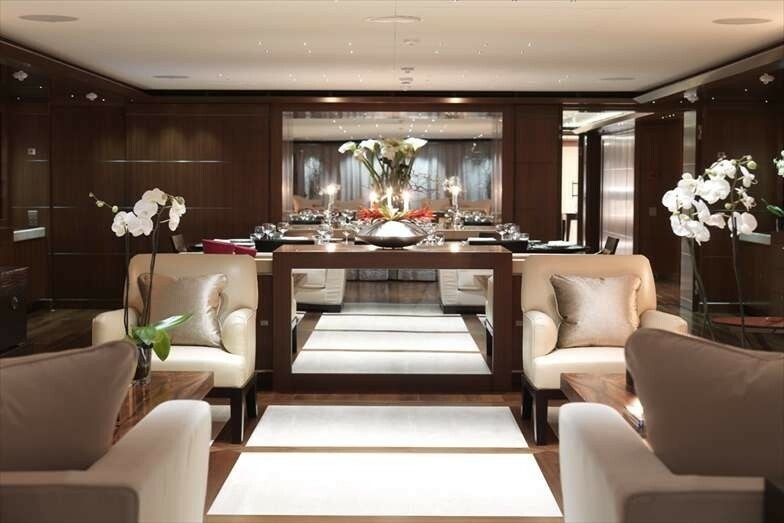 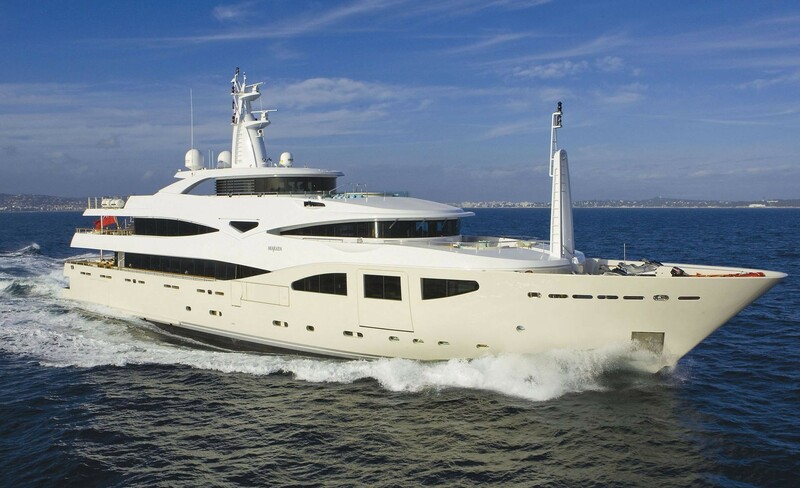 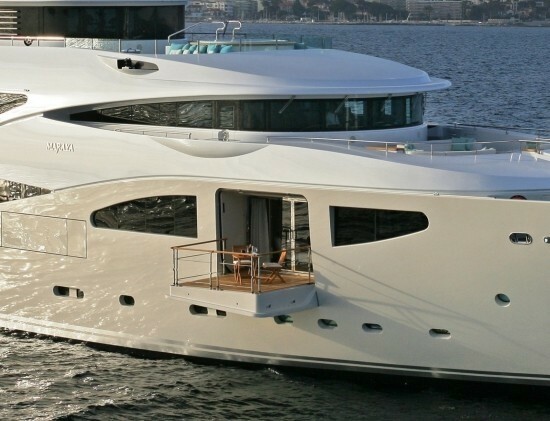 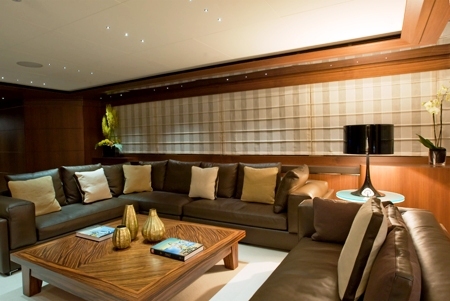 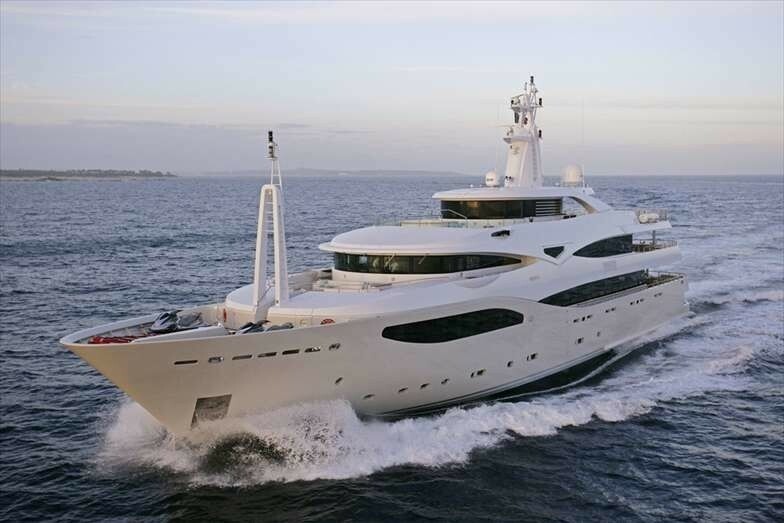 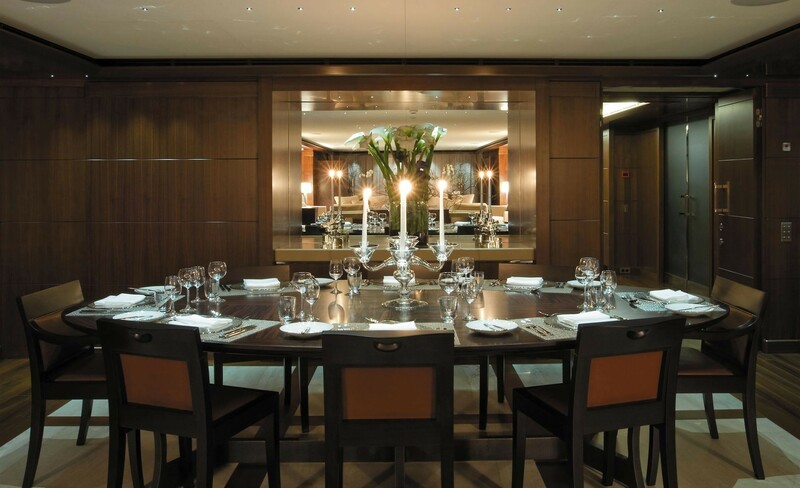 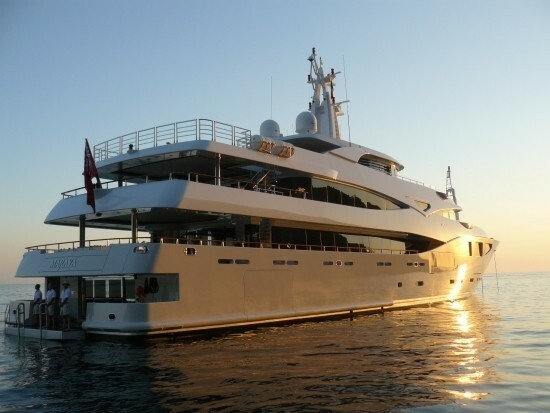 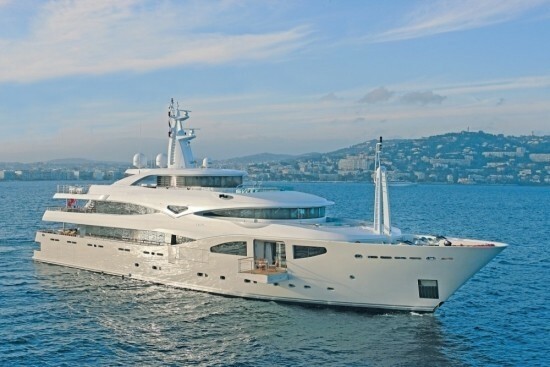 Super yacht Maraya can accommodate 12 guests in 6 luxurious state rooms. 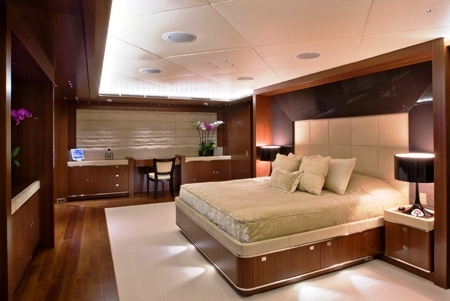 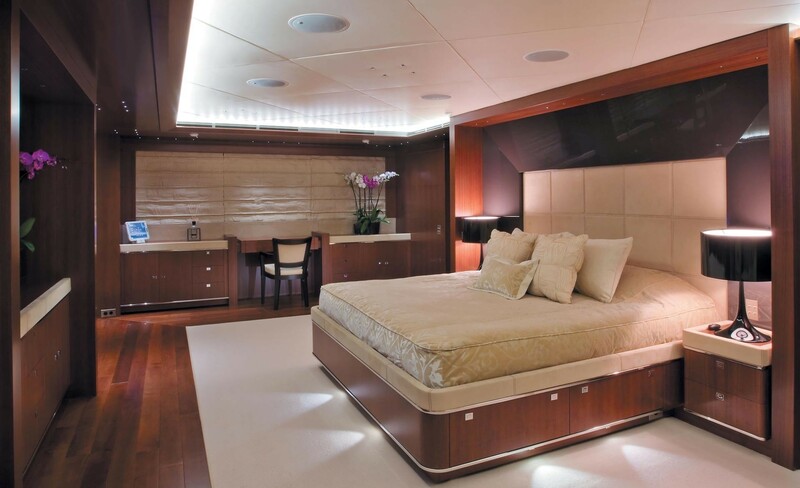 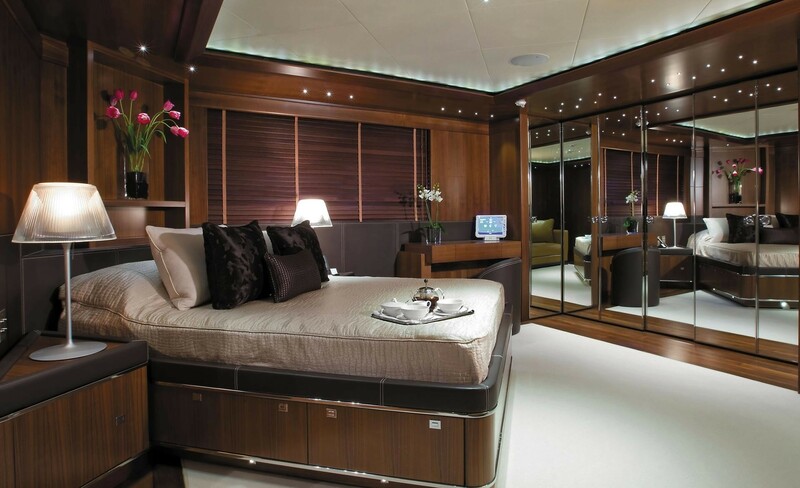 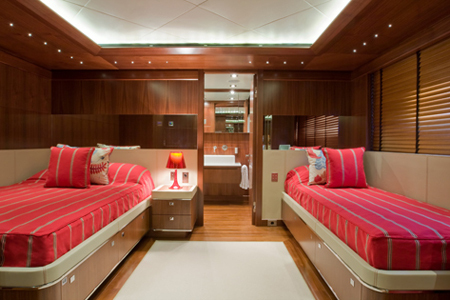 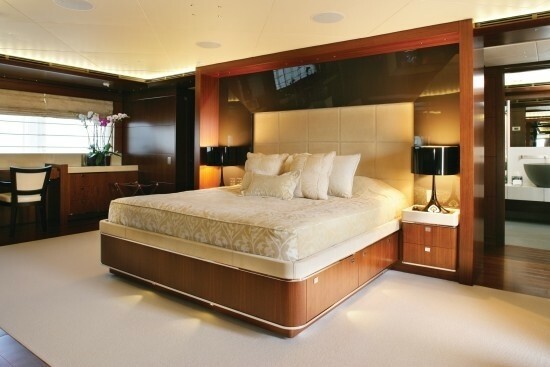 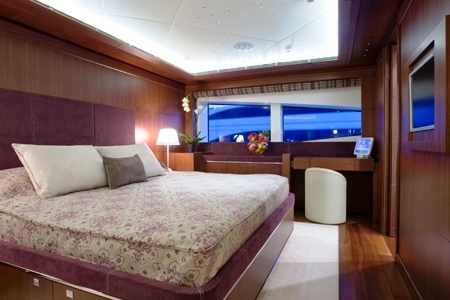 There is a master cabin on the main deck with an emperor sized bed. 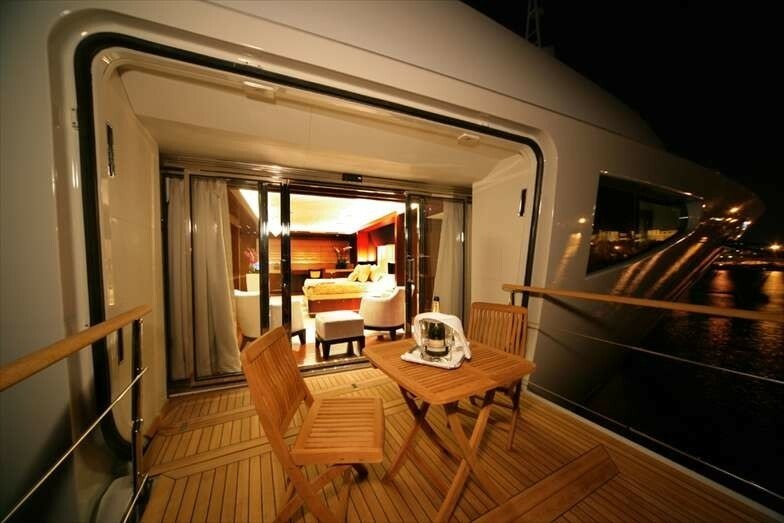 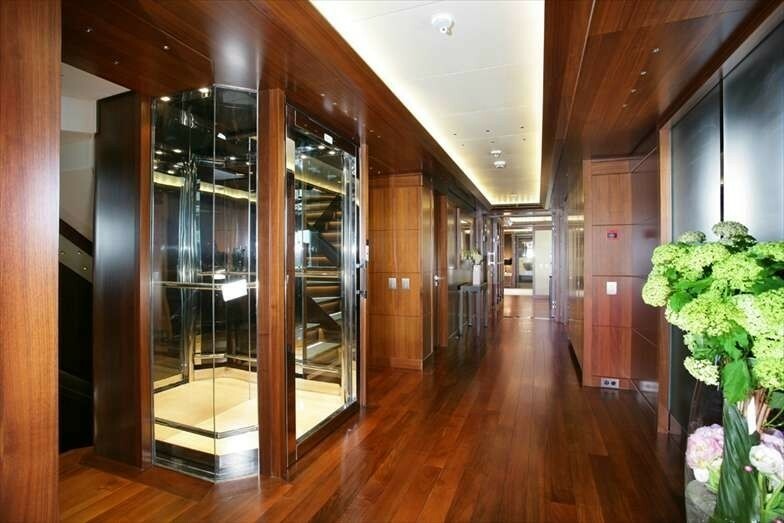 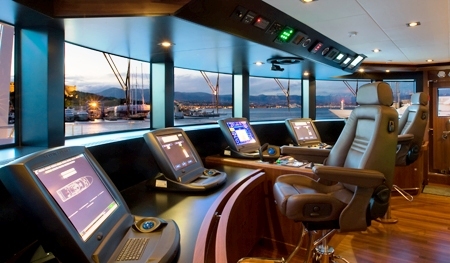 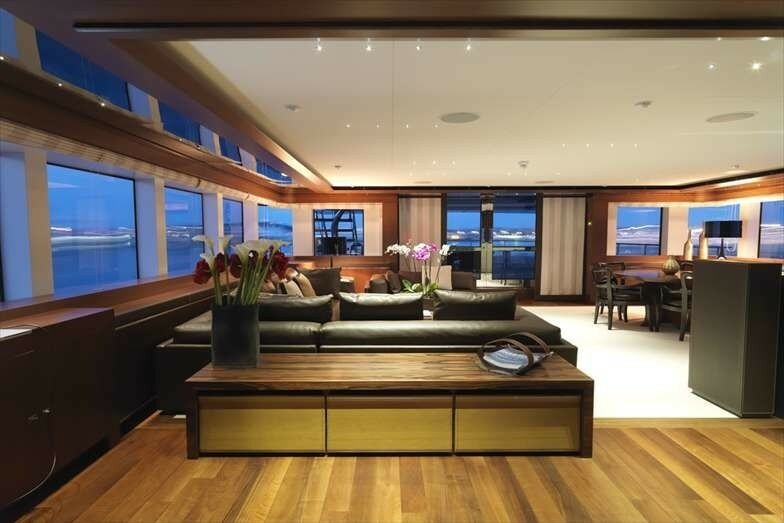 Her VIP cabin is located on the upper deck while the remaining cabins are situated below decks. 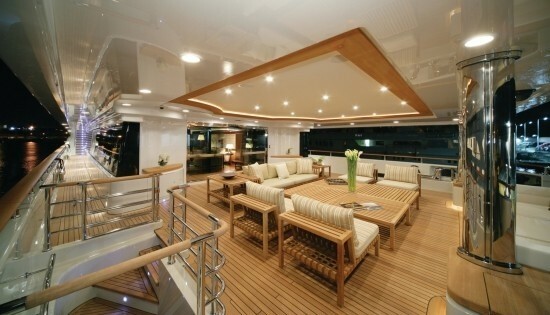 On the lower deck to the aft are two spacious VIP doubles. 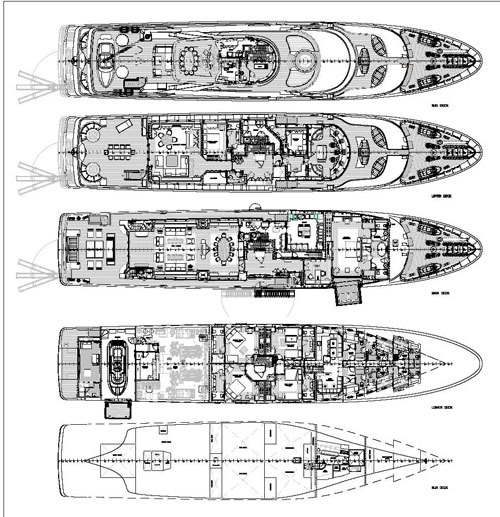 On the port side there is a twin with additional pullman berths, and on the starboard side there is a twin cabin with a small double and a single bed. 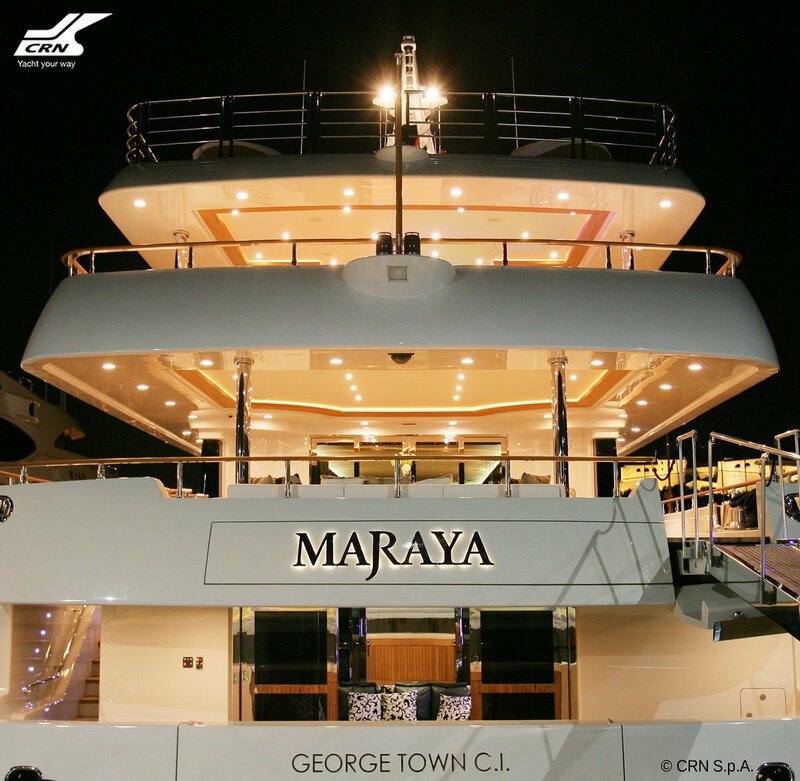 On board MARAYA there is a 7.5m Castoldi Jet, 7.5m Crossover Nautique 216, 4.5m Zodiac MCA Rescue Craft, 2 x Yamaha FX Cruiser HO, 2 Kayaks, 2 Seabobs, 1 x Aquaglide rebound 12', 1 x 6.5m Freeslide, 2 Radio Controlled Boats, Water Skis, Wake Boards, Wake Surfs, 3 x Paddle Boards (2 inflatable and 1 solid), Donuts, Banana and a 3 person couch, Snorkeling & Diving Gear, Kite surf & Surf Equipment, 4 x sets of SCUBA Diving Equipment for use with local dive schools (rendezvous diving only).